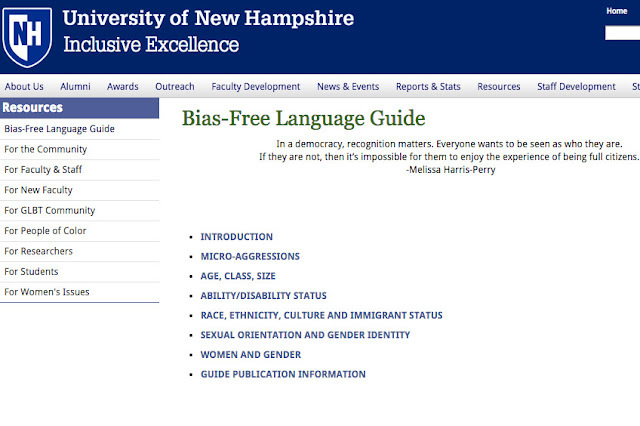 Campus Reform recently made headlines as it reported upon a "Bias Free Language Guide" posted on an official University of New Hampshire website which noted problematic words in American (suggested substitute "Residents of America") lexicon. 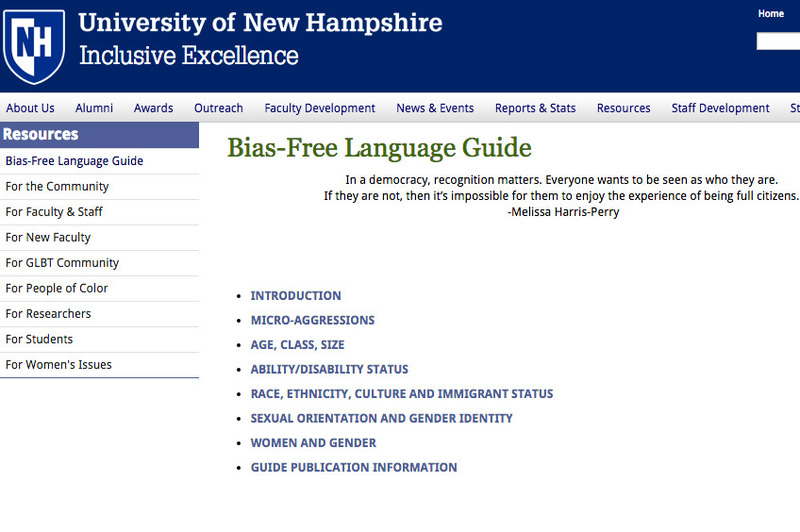 Such inclusive language sought to encourage "[C]ommunication that does not stereotype or demean people based on personal characteristics.” This suggested UNC PC Newspeak rationale is that: “Each step of inclusion moves us closer to a full democracy”. 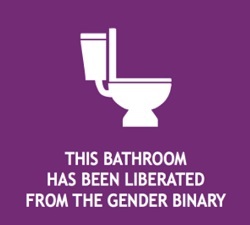 Even referring to gender-neutral bathrooms was considered "problematic" to the authors of the "Bias Free Language Guide" as it reflects ciscentrism, which is defined as a " pervasive and institutionalized system that places transgender people in the ‘other’ category and treats their needs and identities as less important than those of cisgender people.” Such ciscentrism can also include the lack of gender neutral lockers and residences. Perhaps this will be featured on "Caitliyn" (ne Bruce) Jenner's new E! 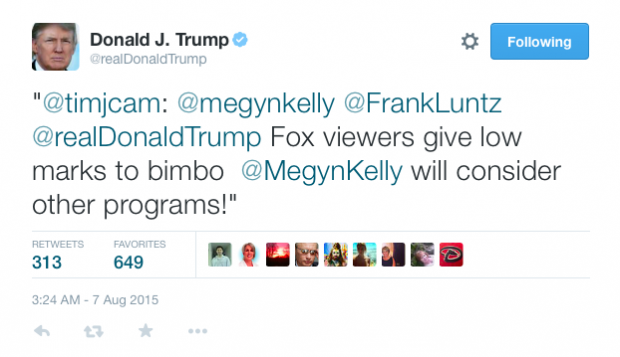 television reality show "I am Cait". Bully for zie/zi (sic).